Visual Studio Code>Other>Send to GitterNew to Visual Studio Code? Get it now. 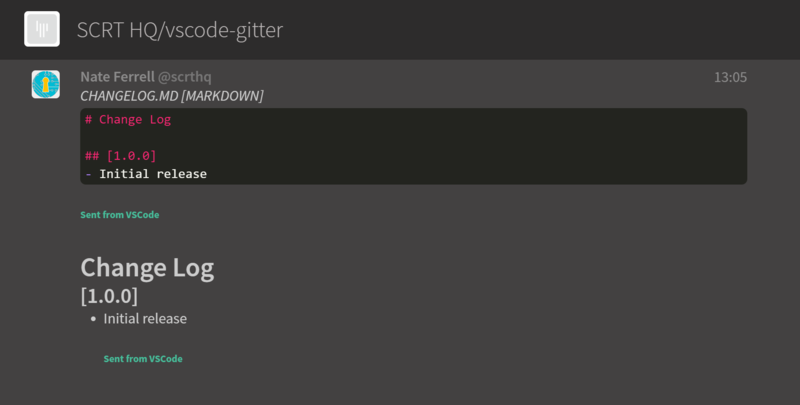 Send messages, code snippets, or full files to any Gitter room or one-to-one conversation you are part of directly from VSCode!